Bernard ‘Tiny’ Freyberg was born in London in 1889, immigrating to New Zealand with his parents when he was two years old. He was educated at Wellington College and became well known for his swimming prowess, winning the New Zealand junior and senior swimming titles. It was a skill that would prove useful early on in his military career. Freyberg left New Zealand for San Francisco in March 1914 and travelled to Mexico, possibly becoming involved in the civil war raging in that country. But on hearing of the outbreak of the First World War in August he immediately left for England to volunteer. He secured a commission in the Royal Naval Division's Hood Brigade. By September 1914 he was on the Belgian front. Freyberg was awarded numerous honours for his actions during the First World War. Early in the Gallipoli campaign he won a Distinguished Service Order (DSO) for swimming ashore and setting flares at Bulair (Bolayir). It was the evening of 24 April 1915 and the intention was to divert Turkish attention from the main landing. By 1918 he had added two bars to his DSO, won the Victoria Cross through ‘splendid personal gallantry’, and been appointed a Companion to the Most Distinguished Order of Saint Michael and Saint George (CMG). He was mentioned in dispatches on several occasions and wounded nine times. He ended the war as a Temporary Brigadier with the 29th Division but soon ‘settled into peacetime soldiering’ with staff appointments at the headquarters of the 44th Division (1921–5), Headquarters Eastern Command (1929), Southern Command (1931–3) and the War Office (1933–4). In 1934 he was promoted to the rank of major general, and the following year was appointed a Companion of the Most Honourable Order of the Bath (CB). Freyberg ‘seemed headed for the highest echelons of the army’ but was obliged to retire in October 1937 after medical exams revealed a heart problem. Fortunately following the outbreak of the Second World War he managed to have his medical grading restored to a level that would allow active service overseas. 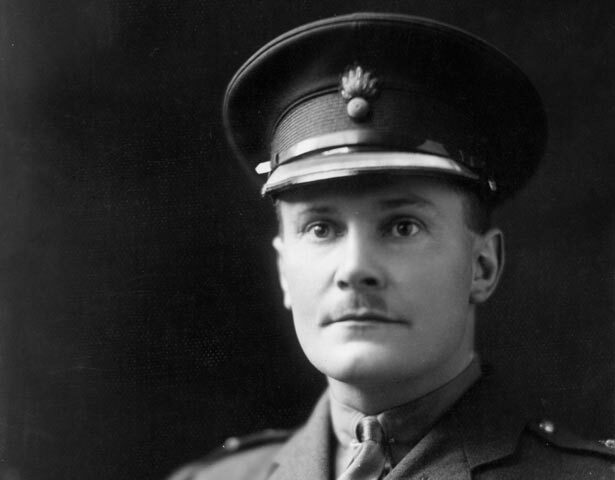 He offered his services to the New Zealand government and was appointed to command the 2nd New Zealand Expeditionary Force and its fighting arm, the 2nd New Zealand Division. He led their campaigns in Greece, North Africa and Italy. Freyberg was criticised, particularly for his role in the fall of Crete in May 1941, and for the destruction of the Benedictine Monastery above Cassino in 1944. But he was also an admired figure at home and abroad, credited by his men for his concern for their welfare and readiness to be at the forefront of any enemy action. During the Second World War he added a third bar to his DSO and was promoted to the rank of lieutenant general. He was also appointed a Knight Commander to the Most Excellent Order of the British Empire (KBE) and elevated to Knight Commander of the Most Honourable Order of the Bath (KCB). The latter was for his leadership of the New Zealand Division during the decisive second battle at El Alamein, which marked a major turning point in favour of the allied forces. Following the war Freyberg was invited to be New Zealand's Governor-General. A popular choice for the post, he was our first Governor-General with a New Zealand upbringing. He left London on 3 May 1946, bringing with him material to assist in New Zealand government in its compilation of an official war history. He maintained a strong interest in the project during his term, which was extended from five to six years in light of an impending royal visit and other issues. He left New Zealand on 15 August 1952. On his return to England Freyberg frequently sat in the House of Lords, having been raised to the peerage in 1951. From 1953 until his death he acted as Deputy Constable and Lieutenant Governor in charge of Windsor Castle. He died at Windsor on 4 July 1963 following the rupture of one of his war wounds. Adapted from Dictionary of New Zealand Biography entry by Ian McGibbon. Matthew Wright, Freyberg's war: the man, the legend and reality, Penguin, Auckland, 2005. We have 2 events in history, 31 biographies, 40 articles, 2 comments related to Bernard Freyberg. Bernard Fryberg started school in Clifton - Marton where my father Fred Howard (born 1893) first met him. In the early 1950s Bernard Fryberg (as Governor General) was in Palmerston North for an investiture and later in the day came to visit his old mate Fred Howard. My brother remembers him walking down the drive in his full Governor General's Regalia.I would like to find a photo of him like this to put in my family history if anyone can help me.